The Moog Sonic Six is different in many little ways. 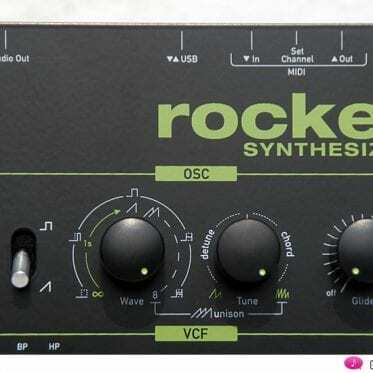 At the start, it looks just like any ordinary synthesizer. 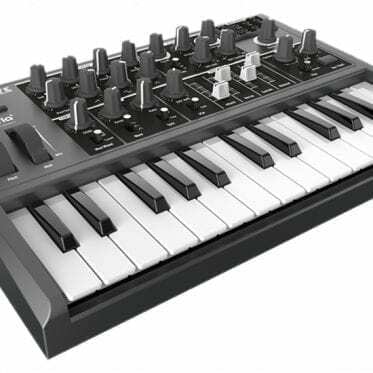 Nice keyboard, beautiful knobs (especially those big ones in the LFO section), two oscillators and a strong filter. 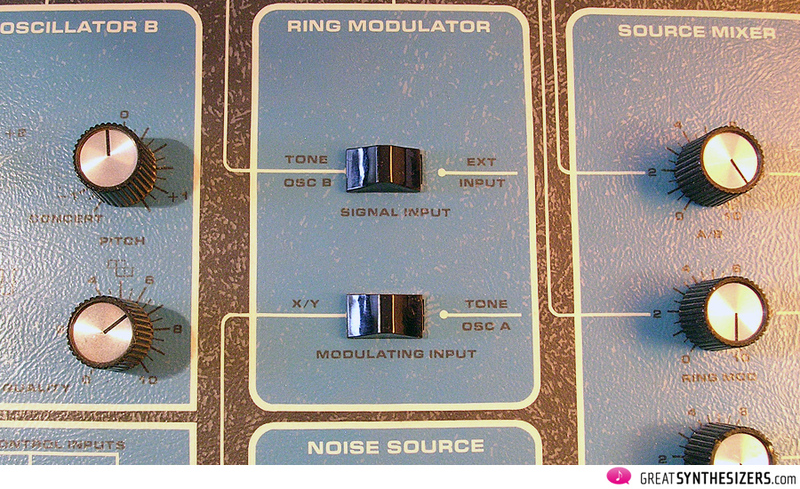 The ring modulator is a real bonus, rather rare on Moog instruments. And you’re allowed to set your own scalings in the oscillator section. Playing Arabian music? No problem with the Sonic Six. The one lone envelope is the sad side of the story, but then there are two independent signal-mixers for bombastic rich analogue sounds and, last but not least, you have your own built-in speaker for plug & play. Anyone interested in the muSonics V / Moog Sonic Six story should read through Gordon Reid’s wonderful Sonic Six review. Reid offers us an alternative view of the development of the Moog synthesisers. In fact, he tells us that Ukranian Gene Zumchak was the designer of the original Sonic V. At first, Bob Moog was not interested in that instrument’s concept at all. But once muSonics bought the insolvent R. A. Moog Inc. company, everything changed. 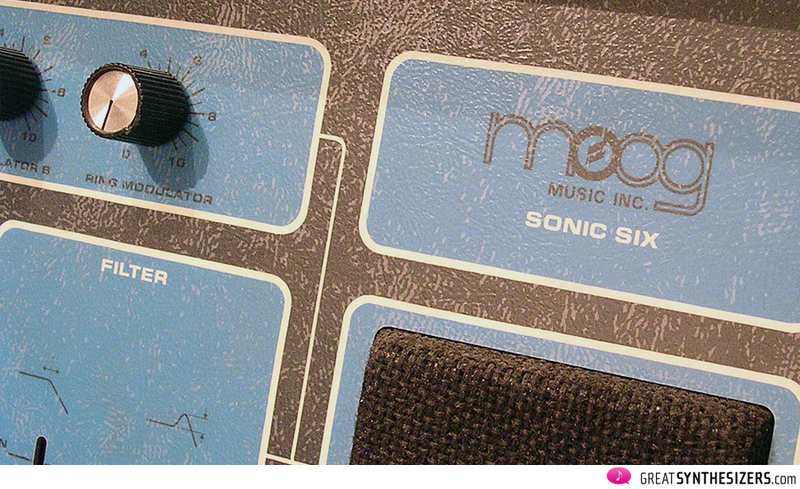 Read more about Moog’s singular behaviour and the unusual Sonic Six story in Reid’s review. It’s full of bristling historical background information and explains the instrument’s architecture in detail. The Sonic Six was produced from 1974 to 1979. Original retail price of the instrument was about the same as for the Minimoog. 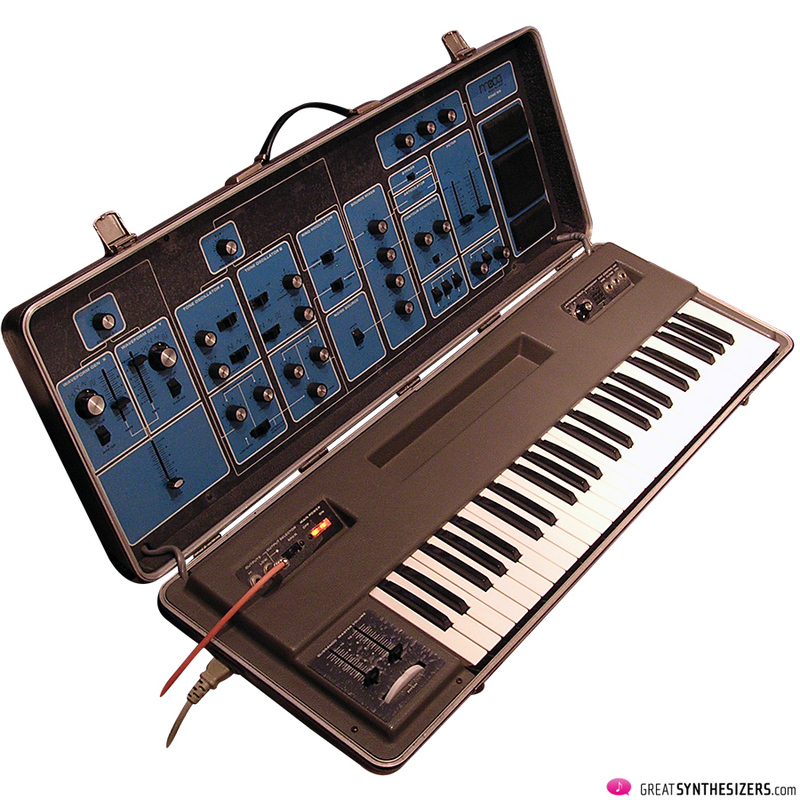 That was a really bad buy for musicians, at least for those who wanted a classical Moog synthesizer. But let’s ignore the fact that this instrument is based on a very off-the-line concept and concentrate on its sonic richness. Doesn’t it sound wonderful ..? (Time to listen to some of the soundfiles attached to this review). In my opinion, the Sonic Six sounds better (and is more interesting) than many other Moog instruments. It has an overwhelming, aggressive sound. It’s not only an ordinary synthesizer, it’s a real analog monster! Just a few months ago I planned to sell the Sonic Six (boy, am I glad I didn’t). There’s a Prodigy and a very nice Minimoog in my Setup as well, so why the hell would I need the Sonic Six? It’s just another 2-VCO synthesizer with the famous Moog ladder filter, isn’t it? Well, reducing the Sonic Six to any classic synthesizer concept is definitely a big mistake. 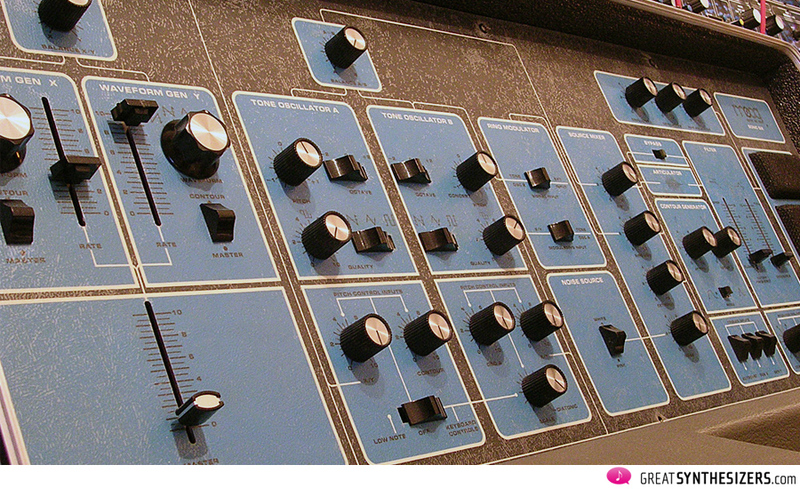 If you’re just out for creamy, solid lead- and bass-sounds, the Minimoog fits the bill perfectly. Looking for tremendously colourful and warm sync-sounds puts the Prodigy on top of the mountain. Do you know what that is? I’d say there are only a few out there, so maybe you’ve never even gotten acquainted with one. The Minimoog, admittedly, is beautiful. 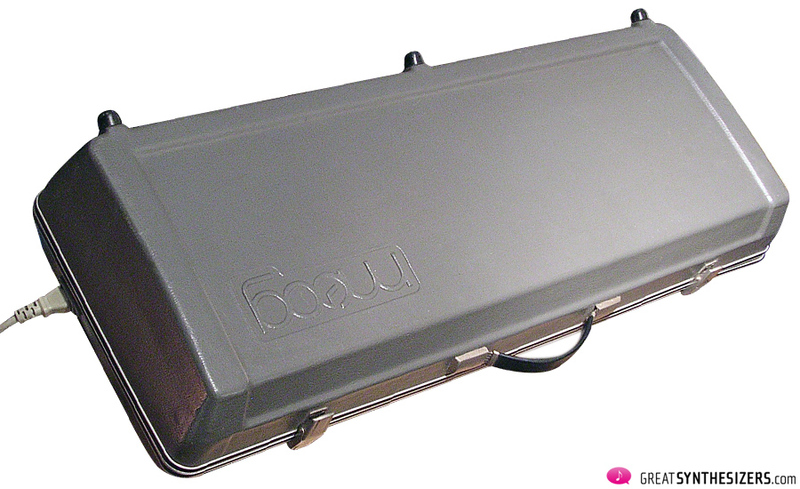 A classic instrument – reliable, user-friendly and rich sounding. But it’s no monster. 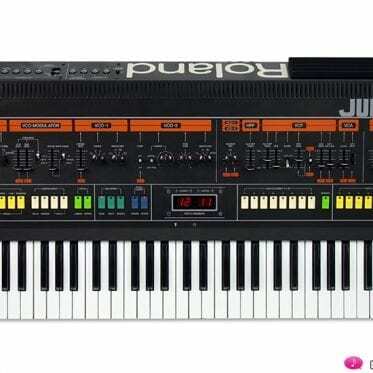 Roland’s Jupiter-8 is another all-time standard, this time polyphonic. Again, a classic. But the monster of Roland’s family is little brother Jupiter-4. A nasty looking instrument with weird, often uncontrollable sounds. 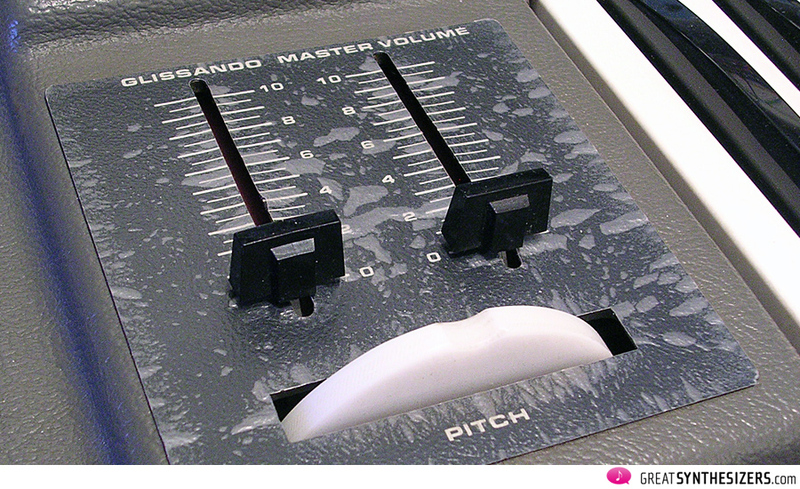 And Moog’s monster is the Sonic Six… (of course, we leave modular systems out, they are a class in their own). Although the instrument’s panel is quite large and clear, fiddling around with the knobs takes more time than you’re used to. That’s due to its slightly unusual concept. 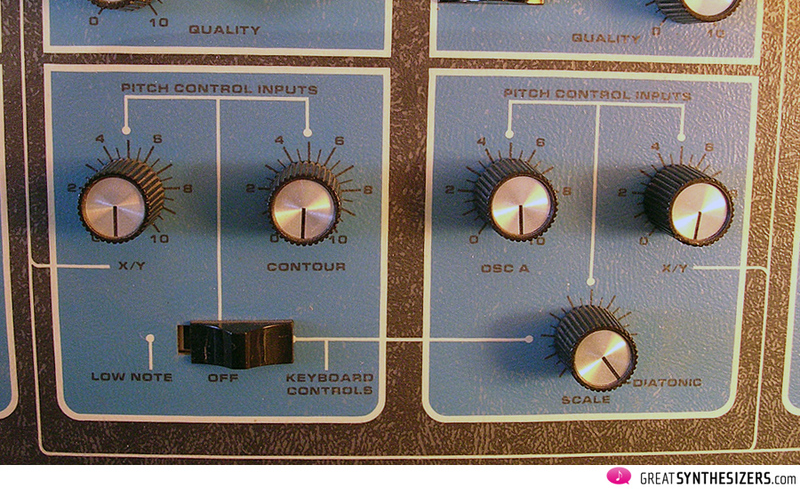 First, the only two “real” Moog knobs belong to the LFOs (and not to the oscillators, as you might expect). Second, there’s not a single fully equipped envelope. Third, you get two independent mixer modules. Fourth, the instrument is covered with tons of modulation possibilities. Not only standard LFO-sources, but also cross modulation, ring modulation, vast trigger modulation options etc. Starting to the left, there are two low-frequency modulators called WAVEFORM GEN X and WAVEFORM GEN Y, each with four waveforms (sawtooth, ramp, triangle and square). A separate RATE slider allows each LFO to be speed-controlled independently. The speed may also be clocked to the MASTER (LFO) frequency, or may be modulated by the CONTOUR generator. That’s an extremely rare feature, only found on a few synths (Yamaha CS-40M e.g.). 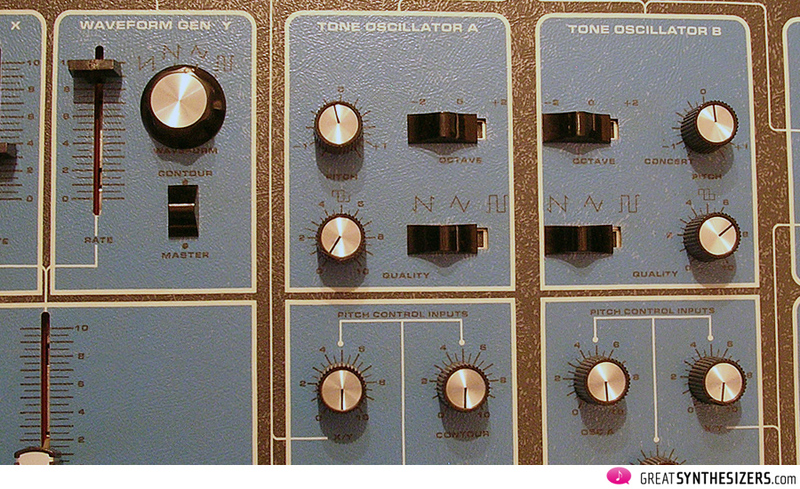 The oscillators are called TONE OSCILLATOR A and B. Both feature saw, triangle and pulse (with manually adjustable pulse width, but with no PWM). 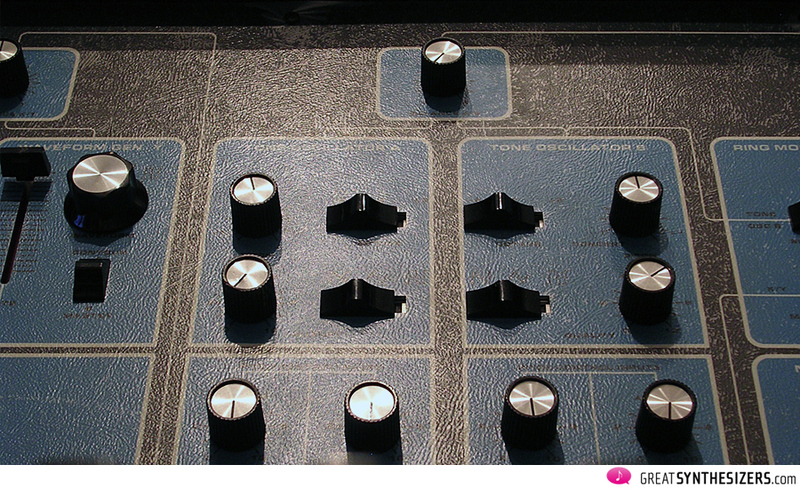 Similar to the LFO section, there’s a balance knob for mixing oscillator output. 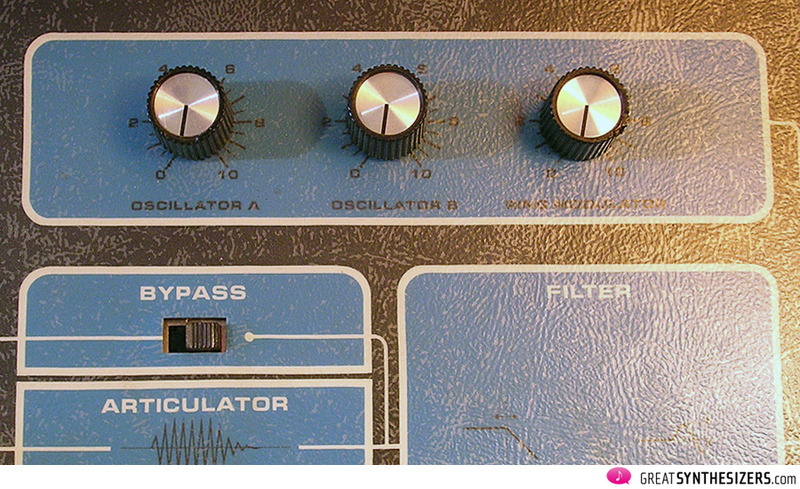 It allows a kind of “oscillator morphing” with just a single knob – a great feature! You have several options for modulating the two oscillators. 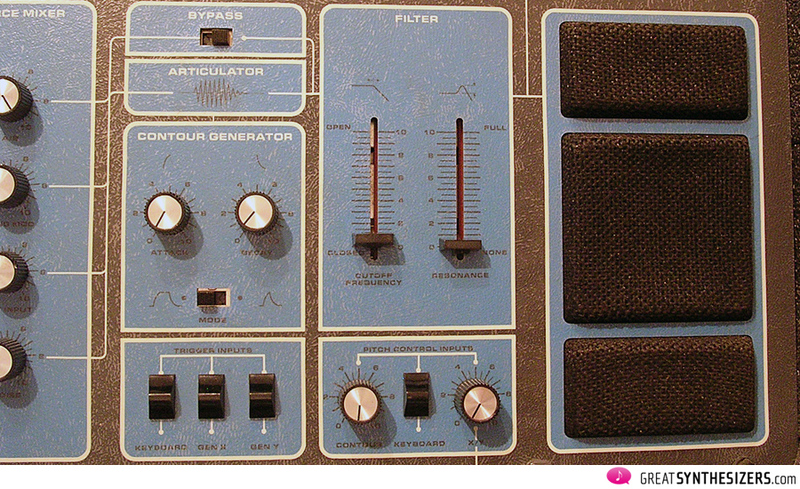 For OSC A there’s the GEN X/Y mix from the LFOs plus the output from the envelope generator. OSC B may also be modulated by the LFO-mix-signal and by the OSC A signal, giving you weird cross modulation sounds. Scaling is another flexible feature on the Sonic Six. 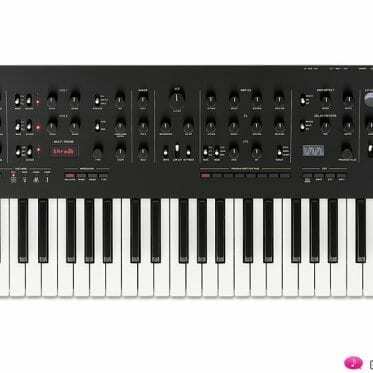 It offers keyboard tracking from 0% to 100%, thus allowing for micro-tonal steps. Should the OSC A be switched to LOW NOTE mode, the Sonic Six turns into a duophonic synthesizer. Of course this isn’t real polyphony, as both voices share the single (reduced) envelope. A ring modulator is not too common on Moog synthesizers. And this one really sounds beautiful. Of course it can’t compete with the great Yamaha CS-50/60/80 ring modulator, but still, it’s a very useful tool for complex, metallic sounds. 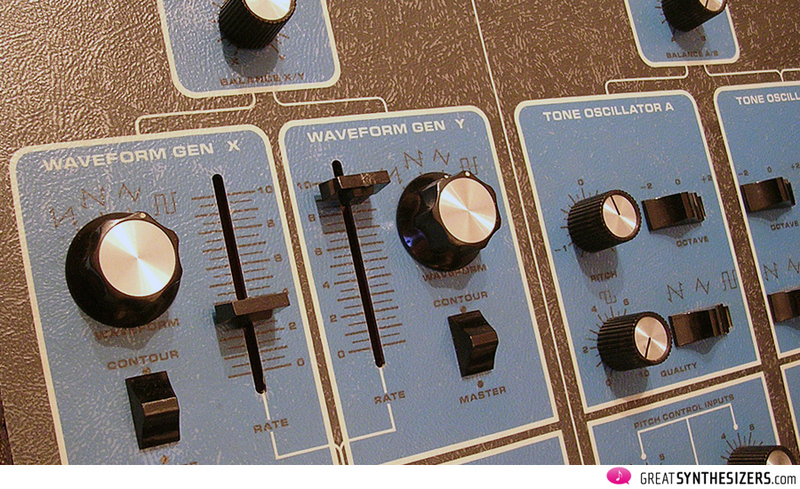 Its signal may be balanced – along with white/pink noise and the oscillator outputs – in the main, classic “source” mixer. How could that happen? This wonderful instrument houses one single, cut-down envelope. Attack and combined decay/release is all you get – plus switchable (!) sustain. Once you realize how many diverse (modulation) jobs the envelope generator does and how important this module is, its limitation seems even worse. Two independent (fully equipped) ADSR would have been wonderful. 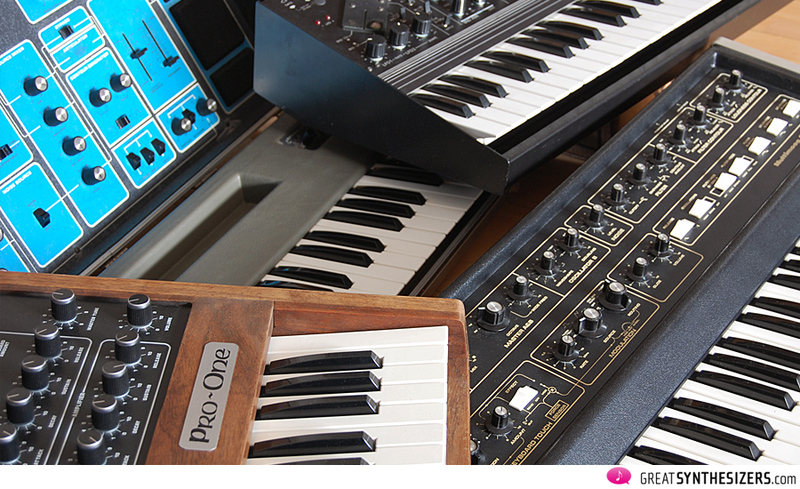 Well, even two ADS would have been nice – just to carry on the good old Moog tradition. Triggering the envelope is possible in varying ways. First, it’s triggered – as usual – by the keyboard. Second, it may be controlled by GEN X and GEN Y, regardless of the LFO’s waveform selection. That allows for polyrhythmic sound creations. We’re not saying such sounds are “musical”, but at least this feature is another source for unusual, not to say “unknown” analogue sounds. To top it off, don’t forget that the LFOs themselves may be modulated by the envelope again, so we end up with a sort of cycle in itself. Early Sonic Sixs still had the original Zumchak diode filter. Later on – starting with Ser. No. 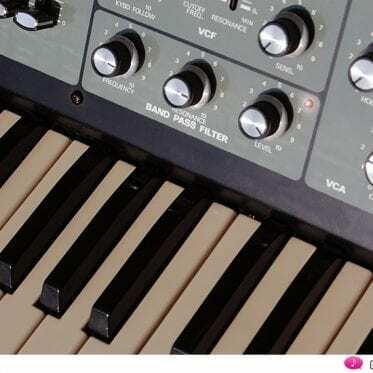 1264 – the Sonic Six hosted Moogs classic ladder filter. I don’t know which one is in my Sonic Six (didn’t find the serial number), but it sounds decidedly different than the Minimoog filter. 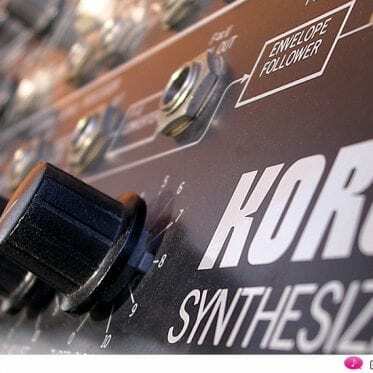 At high resonance it sounds rather dirty – in some way similar to the Korg MS-20 filter. The self-resonance of the filter sounds excellent, no doubt! Modulation of the filter frequency is possible by CONTOUR (Envelope), KEYBOARD and/or GEN X/Y (both LFOs). In addition, there’s an external filter-cv-input to the top right of the keyboard. Should be enough to make the filter sing. The keyboard tracks the filter perfectly, and that’s the real bonus of the Sonic Six. 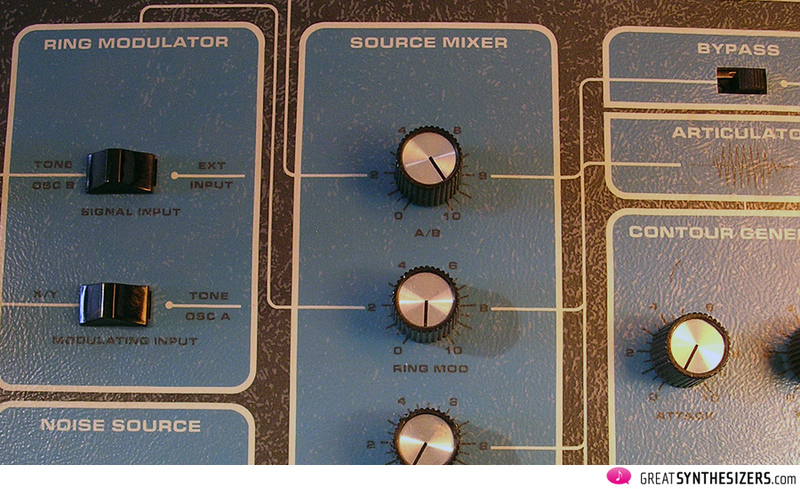 Beside the ordinary “source” mixer, there’s another, totally independent, mixer at the top of the filter section. It allows addition of the raw (unfiltered) signal of both VCOs and of the ring modulator to the overall sound. This module guarantees absolutely fat and aggressive analogue sounds not heard on many other synthesizers. I think the Moog Sonic Six is a very special, unique instrument. This is an analogue monster, capable of many spectacular sounds. The single envelope reduces the instrument’s chances of becoming a famous lead synthesizer considerably. There is no oscillator synchronization, and the famous filter characteristic – at least on my Sonic Six – seems different than on many other Moog instruments. What I like is the Sonic Six’s unexpected raw power. It’s unlikely you’ll want to use it for any ordinary analog lead sound. You rather tweak the knobs, sometimes by trial and error, ending up with lots of organic, fresh, juicy bass- and effect-sounds. I bought a Moog Sonic 6 a few years ago that was in pretty rough shape, it didn’t have any of the original knobs or slider caps, but I have since found suitable replacements. however, the keyboard tracking / pitch /tuning has always been dubious at best. At this point the keyboard has failed completely, it triggers the loudness contour, but does not track any pitch regardless of what key I press. I’ve spent countless hours trying to get the keyboard working again, but no luck. Someone suggested that the “Keyboard Bus” is a common failure in this relic, has anyone here had any experience at resolving this issue? Any help, advice or insight would be greatly appreciated. Sadly, the Gordon Reid article is often quoted but has some inaccuracies. Yes, agreed the Sonic V is not a Moog design, but the Six was, although I much prefer the sound and stability of the V. The Sonic VI was possibly the most unreliable synth Moog ever made. The V version is much better, as it doesn’t flex, and it seems to SOUND much better than the VI version (I had both to compare). Still, nice to give Gene Z his credit, as it’s a very cool synth for modulation options! … agreed. The Sonic 6 is my favourite Moog synthesizer. It produces heaps of fantastic ringMod / FX sounds and stunning basses … it has something brutal (and very organic) in its sound character that I actually would have expected to get out of a Minimoog. But the Mini is rather conservative compared to the Sonic V / Sonic 6. A minor disadvantage is the missing gate-in, but it can be retrofitted. Roland SH-5 – king of the vintage SH-series?